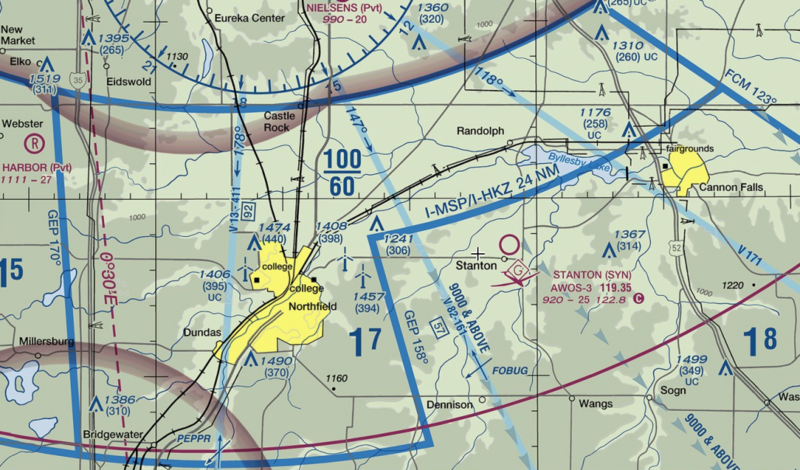 The club is based at Stanton Airfield, which is 30 miles south of the Twin Cities of Minneapolis and Saint Paul. The field is at the intersection of Highway 19 and Highway 56, near the small town of Stanton. From the Twin Cities, either follow 35W south and then Highway 19 east through Northfield – or Highway 52 to Highway 56 south past the towns of Hampton and Randolph.